Five County Truck Tire Service Inc will repair your tires and have you back on the road quickly! Established in 1970, Five County Truck Tire Service Inc has served the Westbury, NY area for over 40 years, and in that time, our commitment to customer service and satisfaction has made us one of the region’smost trusted tire shops. Our ACE-certified mechanics have years of combined experience and know how to quickly and effectively address your vehicle’s needs so that you may be on your way as quickly as possible. Five County Truck Tire Service Inc understands you have somewhere you need to be, and it is our job to help you get there sooner rather than later. Our staff is courteous, knowledgeable, and happy to answer any questions you may have. Five County Truck Tire Service Inc is here to help you in any way we can because we believe this to be the best way to build lasting relationships with our customers. We want to see you for many years to come! In addition to providing tire replacement and repair services, Five County Truck Tire Service Inc also offers emergency roadside assistance. 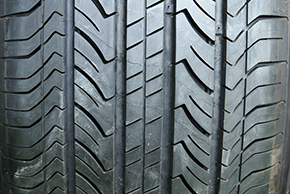 If you are stranded on the side of the road with tire trouble, call us, and we will immediately come to your aid. If you have been searching for a tire shop that meets all your tire-related needs, look no further than Five County Truck Tire Service Inc. Come by today and make sure your next drive is a smooth and safe one.